Delicious and healthy vegetarian lunches, mmmm perfect for after a surf! A question I get all the time from non-vegetarians is “what the f*** do you eat?! ?” (maybe in a less dramatic way, ha). So here is a couple quick and easy vegetarian lunches that can be eaten at home or taken to work/school! Who says vegetarian food has to take lots of prep? There are pleeeenty of delicious easy vegetarian lunches you can throw together yourself. Avocado sandwich. Avocado’s are pretty filling, which is why avocado sandwiches make a pretty hearty meal. 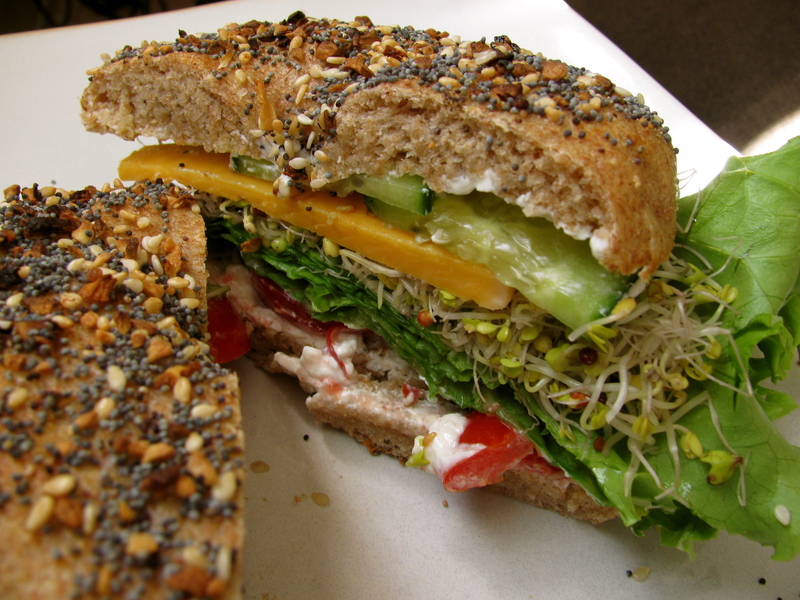 Take some hearty bread or pita bread, throw on avocado, tomato, onions, sprouts, cheese, and ranch. Veggie Wrap. This can be filling as well, depending on what you put on it. You can throw together pretty much anything you have on hand including hummus, greens, sprouts, peppers, onions, avocado, cheese, etc. Anything works!